The second and final book in Tosca Lee’s Descendants of the House of Bathory Series is by far the best of this historical mystery and suspense miniseries. It picks up right where the last one left off, it explains everything that went unexplained in The Progeny, and readers get more information on the historic serial killer Elizabeth Bathory. All of this mixed with even more fast-paced storytelling and unexpected twists and turns thrown in makes Firstborn a very entertaining read. Audra Ellison has discovered the reason she erased her memory: to protect a very important piece of her recent past that is being threatened by the Historian. She would rather die than allow this to fall into their hands, but when her guardian Luka is taken by the Historian as bait, she has no choice but to confront the nemesis of all Progeny. The Historian must die if the war between the Progeny and Scions that has lasted for centuries ever hopes to end. Only with the help of a monk and her Progeny friends can she hope to have any success, for not only is she battling against a secret organization, but she must also escape the law and gain control of her rapidly advancing powers. While The Progeny was not a confusing story, it did have certain elements that were not fully explained. In Firstborn, Lee provided a “Character List” and an “About Elizabeth Bathory” section before her story even begins. The “Character List” helps to remind readers of who the Progeny are (also known as Utod) and who the Scions of the Dispossessed are (the secret organization wanting to wipe out the Progeny). “About Elizabeth Bathory” is a brief, yet informative synopsis of “the Blood Countess,” reminding readers of the mystery that enshrouds this infamous serial killer. Both of these are actually incredibly helpful for those who may have been confused in the first book or even for those who have not read the first book in a while and simply need a refresher. Even the very first chapter gives a brief synopsis of all Audra has been through from Audra herself. It only took six weeks for Audra to be pulled back into what she had gone through surgery to forget, to discover that she had married her guardian, and that the two had had a baby that was being hunted by the Historian for the abilities it was destined to house. Yet even after discovering all of this, Audra STILL doesn’t officially remember everything. This is most certainly mind boggling for the readers and definitely an attention grabber right from the start. As the story progresses, readers get to witness the expansion of elements introduced in the first book, Lee explaining more of what was not in The Progeny. Lee’s enticing storytelling makes a comeback and she moves her newest story at an even quicker pace. She continues to keep readers guessing and even throws in some “edge-of-your-seat” moments (one such moment leading up to one very crucial scene that will not be revealed here due to it being one too many spoilers in one review). The element of hope still resides in Firstborn and Audra houses that more within her as she develops. Readers also get to witness her develop and strengthen her powers of persuasion. It turns out she is a rather powerful Progeny who can do more with her abilities than other Progeny can, but she is unable to control it at times. And let us not forget about Elizabeth Bathory, the woman behind this whole war, and readers get to learn even more about her than from just the brief beginning synopsis. One wonderful new element in this story is one of family. It was somewhat hinted at in The Progeny, but it really develops in this book. Readers are given a closer look as to just how close all Progeny are to one another and how they themselves are a family willing to help one another. Especially the three Audra meets and stays close to: Jester, Claudia, and Piotrek. Using their unique capabilities, they bend over backwards to help Audra and, even though she doesn’t remember them, she trusts them. Another wonderful element of family is Luka and Audra with their daughter. 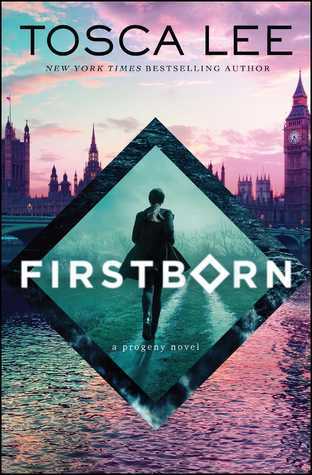 Luka and Audra’s relationship develops even more in Firstborn and readers get a real sense of how much they love each other, but it is their characters as parents that Lee writes so wonderfully and so truthfully. They were parents for a day before they had to give up their baby for protection. A single day and already they are both willing to do whatever it takes to save their baby girl. Talk about great parenting. It is always tricky writing a review to a second book. 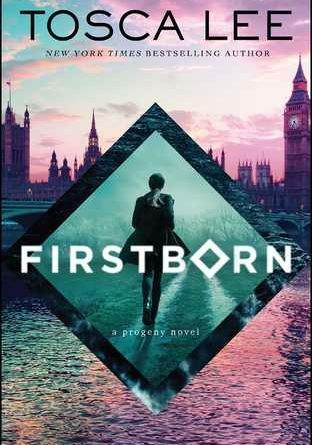 One does not want to give away too much to readers who have not gotten the chance to experience the story themselves (apologies for the aforementioned spoiler), but even with vague information on the story’s content, Firstborn is definitely a book readers will want to pick up upon completing The Progeny. It moves along even quicker than the first book, the development of not just Audra, but the other characters is well-executed, and readers get to experience the final outcome of the war between the Progeny and the Scions. Perhaps the only downside is that there is not at least one more book to this series. While the two books in the Descendants of the House of Bathory Series held up wonderfully on their own, this could have made for an excellent trilogy. But as a two book series, job well done, Lee.